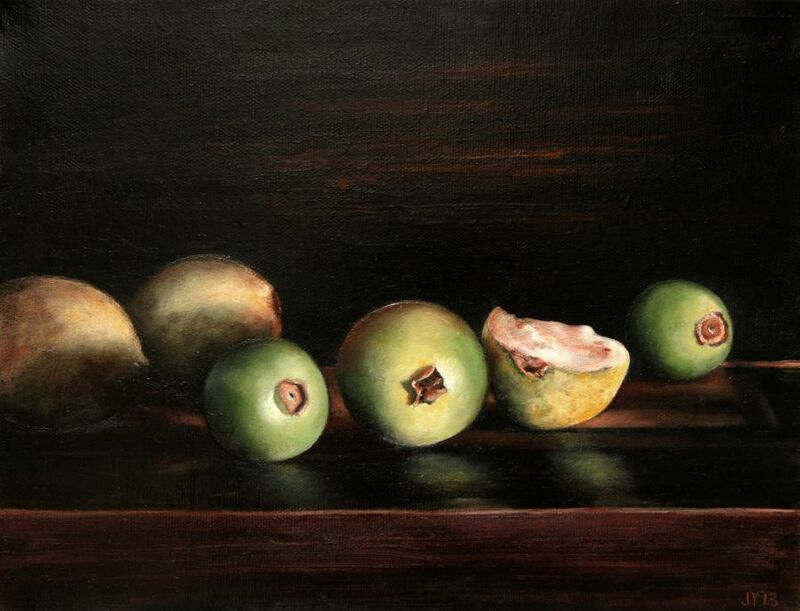 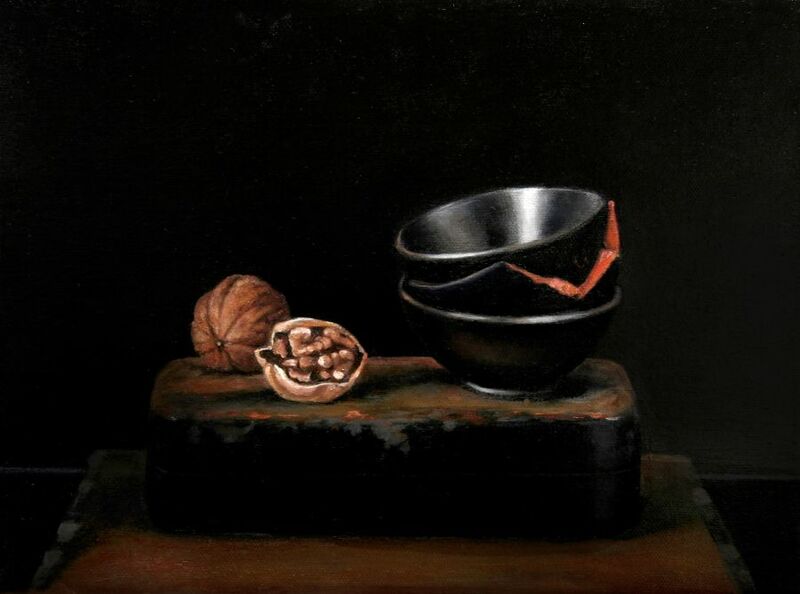 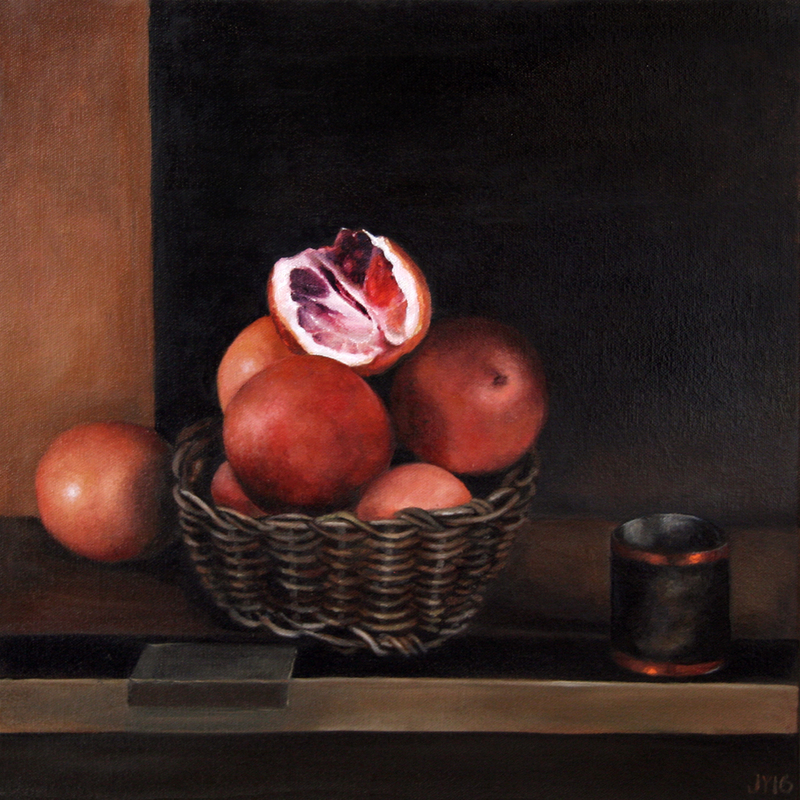 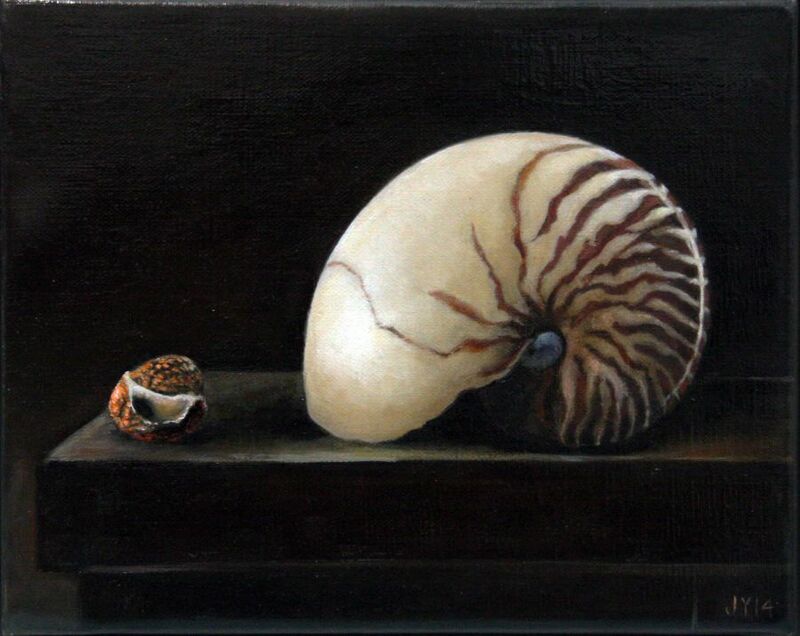 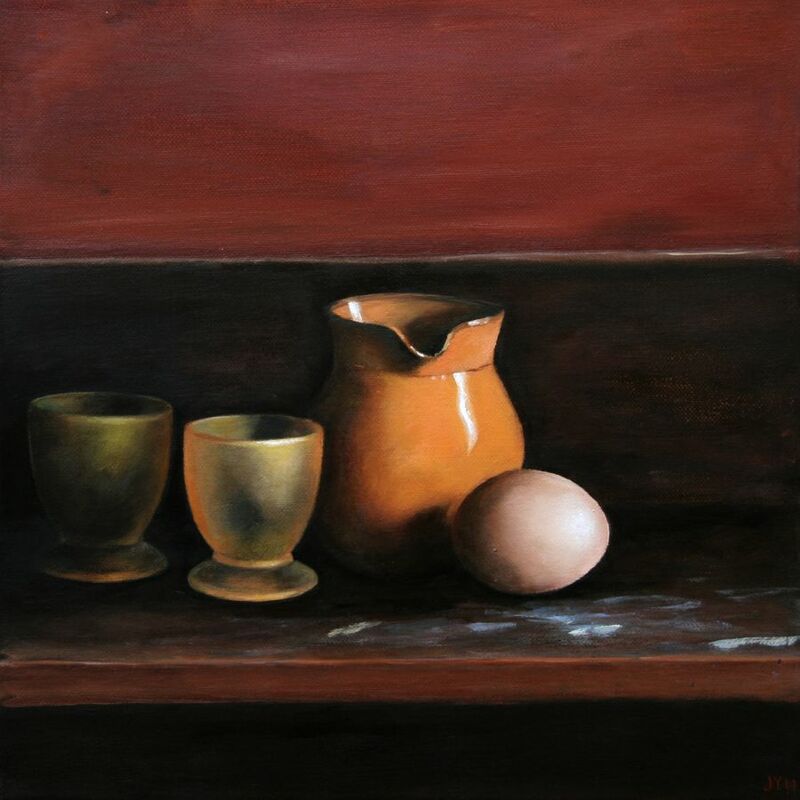 The different objects Jo Young selects for her still life paintings form aesthetic rather than obvious utilitarian connections yet together they seem to converse naturally, like characters from one scene. 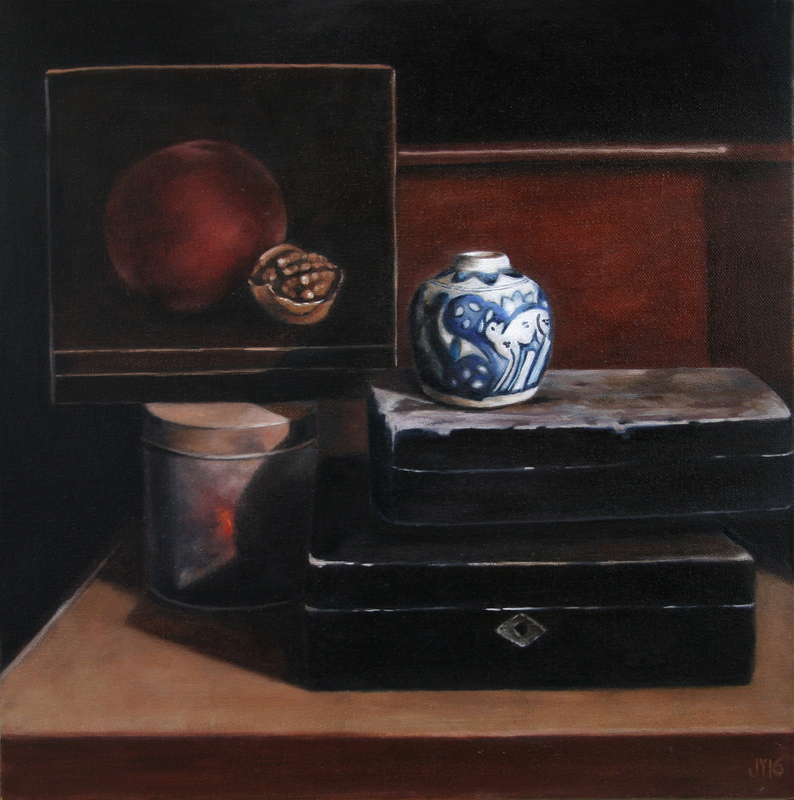 Drawn from aspects of domestic life, these curious objects belong again to other stories, such as historical narratives and personal memories, and the circumstances connected to the people, places and times to which they once belonged. 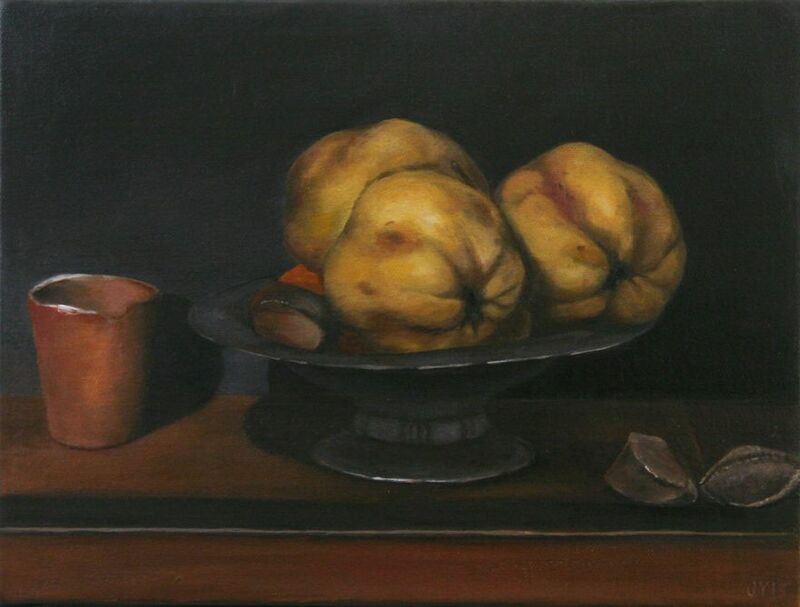 In the development of my compositions, I derive inspiration from the art of the Dutch Baroque, Flemish and French 18th Century still life painters. 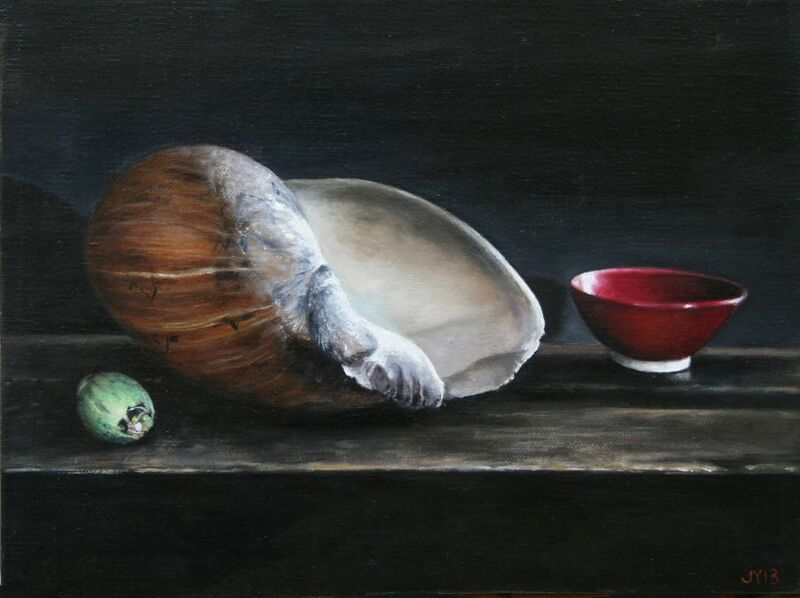 The classical painting technique of this period involves a slow process including a sepia tonal underpainting, followed by consecutive layers of local colour and finally transparent glazes. 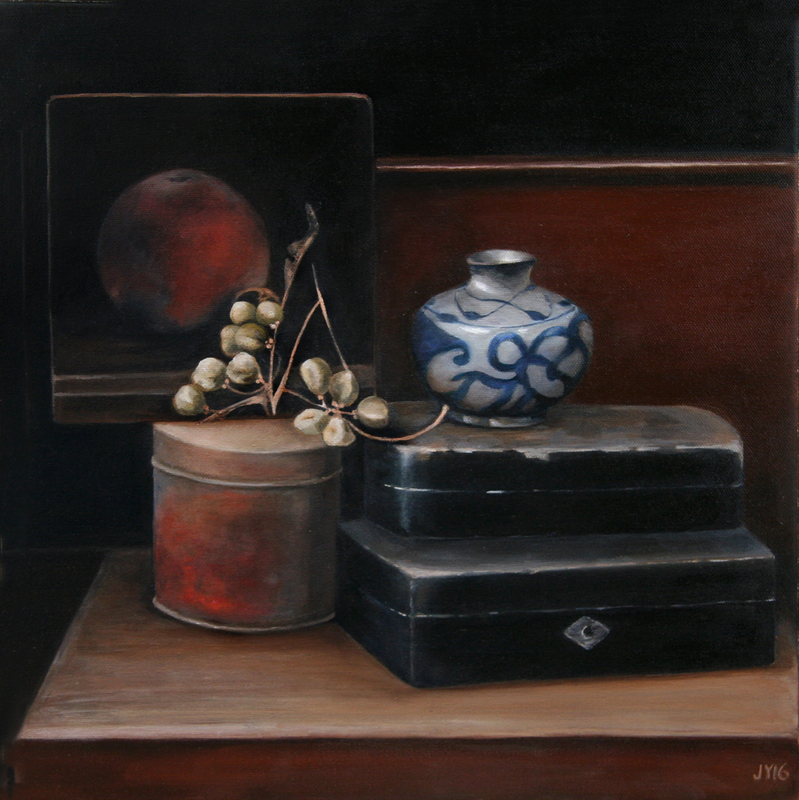 Like characters in theatre, objects are carefully staged in an intimate space... 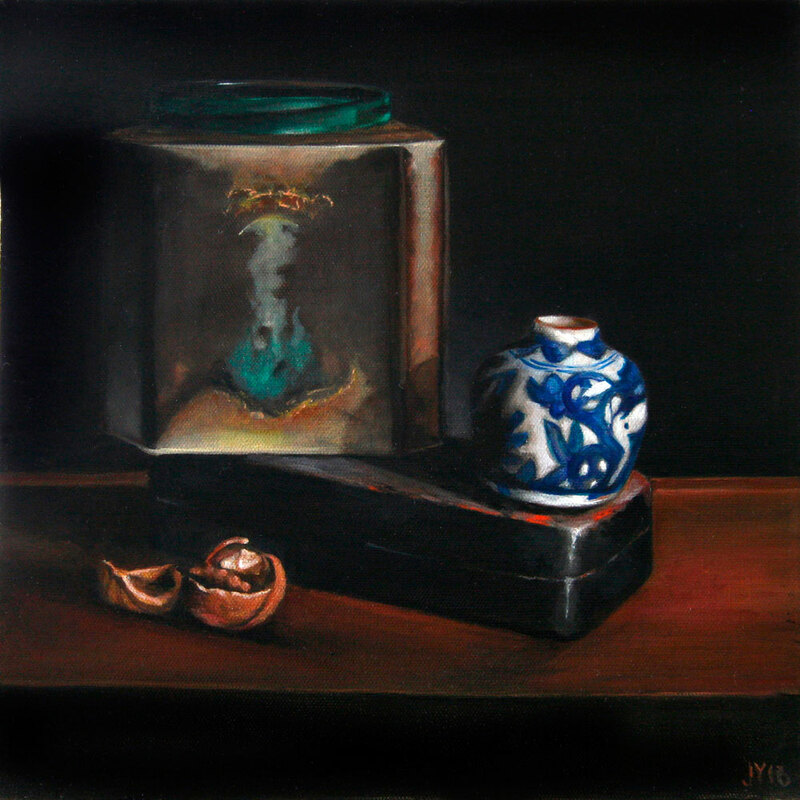 Drama is created by emphasis, highlights, reflections and shadows. 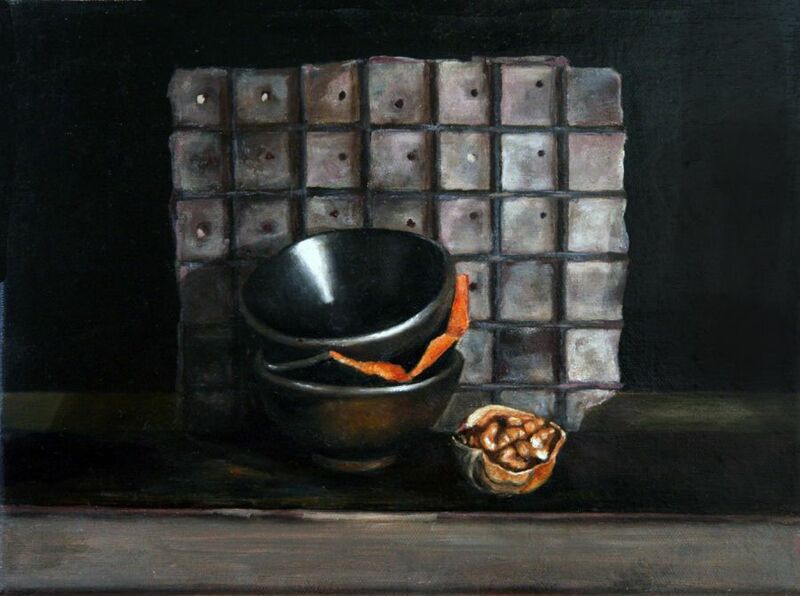 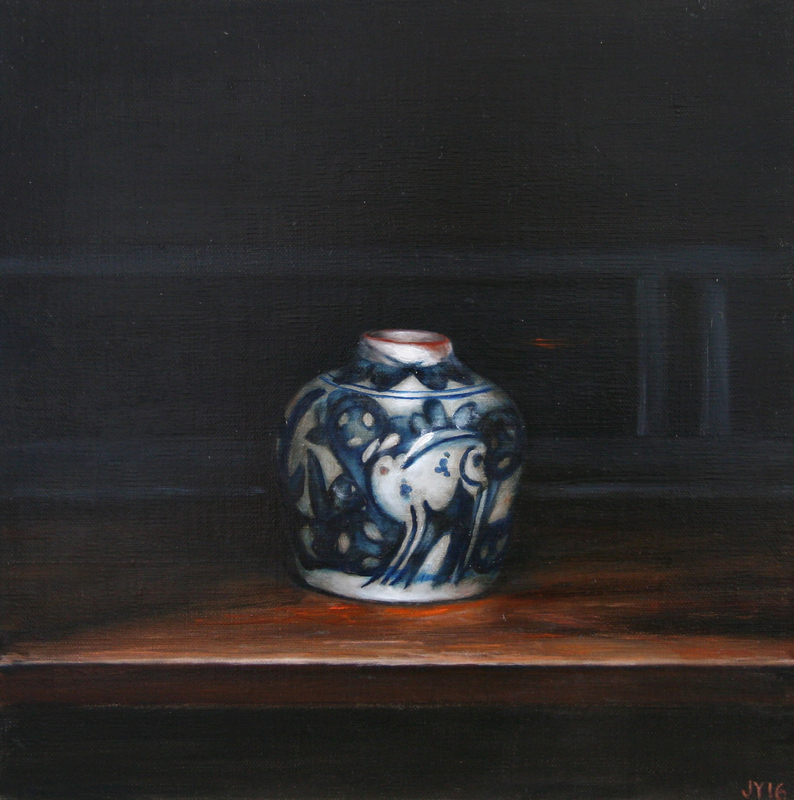 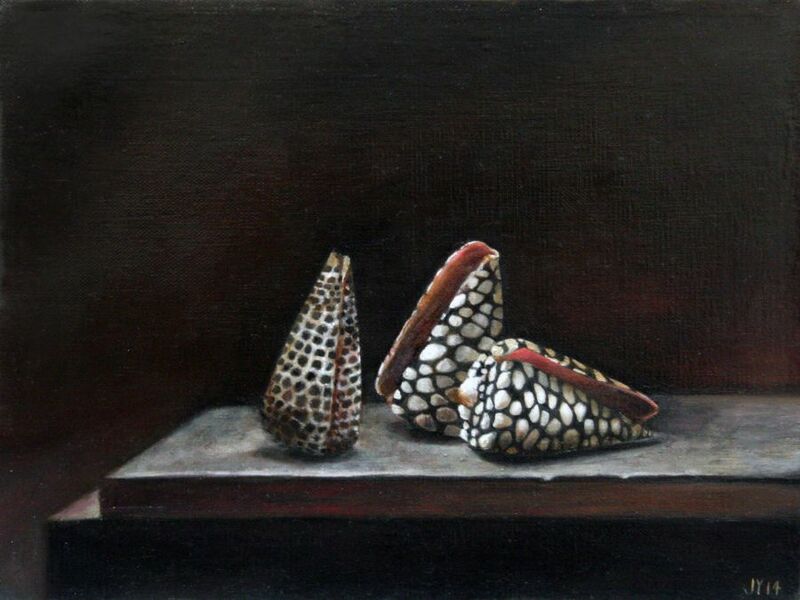 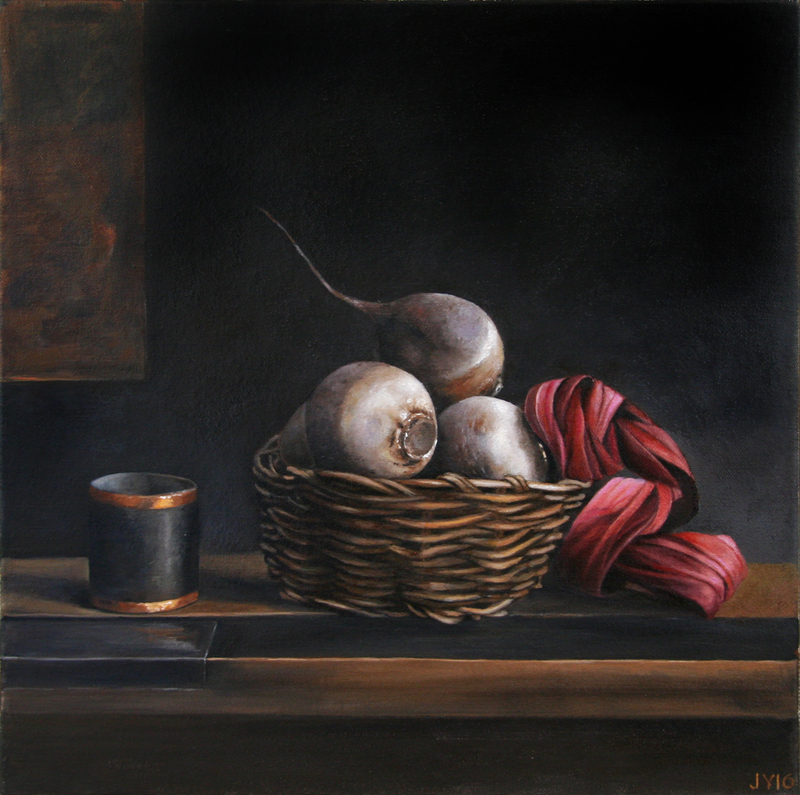 In the depiction of silk, porcelain, fruit, silver and wood, I wish to explore the intrinsic qualities of the objects through tone, texture, mood and atmosphere (Jo Young).